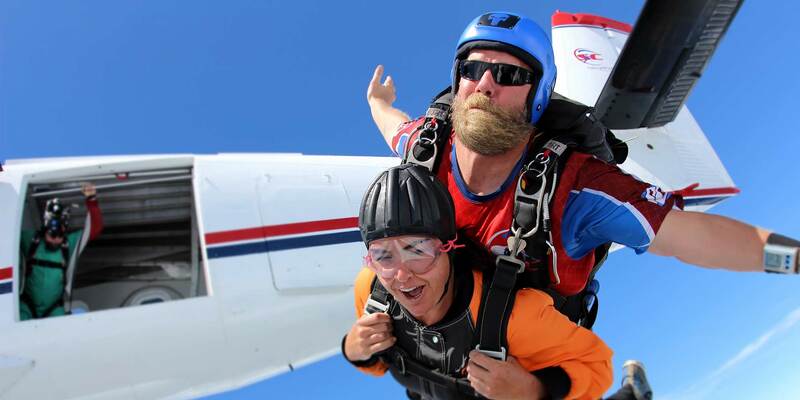 You did it – you’ve dreamt of leaping from a plane, done your research, and you made the reservation to make your first tandem skydive, and your tummy starts to do flips. You begin to wonder as both feet are firmly on the ground…. Can you get altitude sickness skydiving? According to Medical News Today: “Altitude sickness is a disorder caused by being at high altitude [generally 8,000 feet or higher], where oxygen levels are low, without gradually getting used to the increase in altitude.” The short answer is yes, you can get altitude sickness skydiving, however, it is not common to experience altitude sickness from a normal tandem skydive at 13,000 feet. 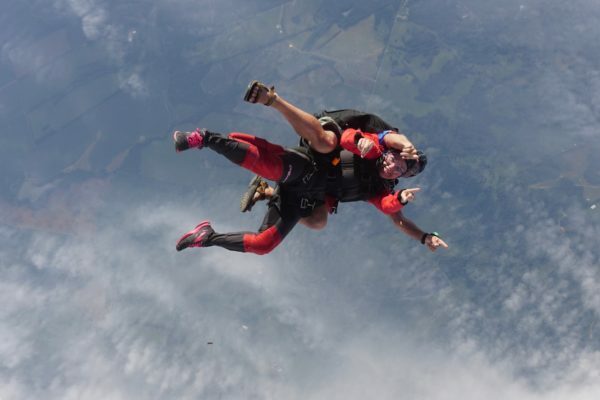 In skydiving, the time in the plane is approximately twenty minutes or less to altitude, and after you jump from the plane, you descend quickly getting a quick healthy dose of oxygen. The Federal Aviation Regulations even has a rule stating that flights going to 12,500 (MSL) to 14,000 (MSL) and staying there for thirty minutes or more must have supplemental oxygen. At Skydive Carolina, we are sitting at 656 feet above ground level (AGL). That means the time above 8,000’ is very minimal at best before jumping out at 13,000 feet. Ok, this one might be a little tougher than the rest because you’re going to go skydiving, and your mind will naturally wonder. However, if you can do your best, getting a good night’s rest will help with the clarity of your mind and help prepare your body with the needed rest for an epic day. Your body will need the energy to process the involuntary adrenaline throughout the day. Big meals, unhealthy foods (especially the fried food variety), drinking too much the night before, or even not being hydrated can cause the feeling of altitude sickness from skydiving or just plain sickness from skydiving. Be sure to eat a healthy meal beforehand and snack up along the way. What to Eat Before Skydiving? If you’re still wondering if it’s possible to get altitude sickness skydiving, there could be other possibilities where it can occur, such as the Mount Everest skydive where jumps take place in the stunning Himalayas from 23,000 feet. These specialty jumps definitely require supplemental oxygen to prevent altitude sickness skydiving. It is very uncommon to feel sickness in skydiving, especially since the time above 8,000 is very minimal, and especially if you’re relatively well rested, fed and hydrated. Are you ready to take the leap? 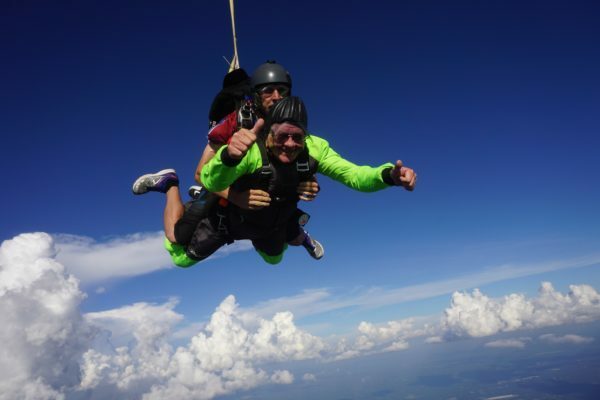 Give us a call or click and we’ll be happy to welcome you to the world of skydiving!